This entry was posted in Canada Canada Immigration canada immigration Visa and tagged Canada Immigration canada work permit Canadian Business Visa Canadian Family Visa Canadian Student Visa Canadian visa Immigrate to Canada Migrate to Canada on December 29, 2014 by Blog Author. Looking for better lifestyle options? Willing to work in a good working environment? Want to brighten your career prospects? Well, for all these questions Canada is the only country that you must look forward migrate to. With robust economy, amazing culture and welcoming nature, Canada is the most desirable destination for people who wish to live their dream. Over the years, Canada emerged as the best place for overseas workers, business travelers, immigrants and foreign students. Its growing manufacturing, mining and service industries have turned the country from rural to an urban one. 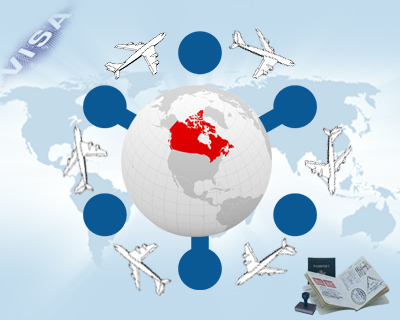 Overseas nationals who wish to immigrate to Canada can find number of options. Skilled professionals can immigrate to Canada through skilled migration schemes or the Provincial Nominee schemes. Business people can also have number of options to migrate to Canada. Whether you wish to study, reside or work in Canada, the country has designed many schemes to make your migration process much easier. Skilled immigrants who wish to work in the country must obtain Canadian work permit to enter the country. Canada offers various options for skilled workers to enter the country on both temporary and permanent basis. Canada’s aging population is one of the reasons to seek skilled professionals. Being a home to world’s top-notch institutions, Canada is the most coveted destination for overseas students who wish to pursue their higher education abroad. Students who wish to study in Canada for more than six months must require a Canada student visa. Canada needs experienced business professionals who can make a significant contribution to its economy. Canada has classified business visas category into entrepreneur, investor and self employed. So, individuals who belong to respective category must apply for right type of Canadian business visa. Family members who wish to immigrate to Canada can file an application for Canadian family visa. Canada grants permanent residency to overseas nationals through the Family Class. If you want to join your family member who is residing in Canada, you must obtain Canada family visa. With so many options available, you can choose your preferred option to immigrate to Canada at a faster pace. If you want to get any type of visa, fill out MoreVisas Enquiry Form, so that one of our visa executive will get back to you.